A dark yet comic story about three hugely commanding women jockeying with raw abandon for love, favor and power that actually feels very contemporary. 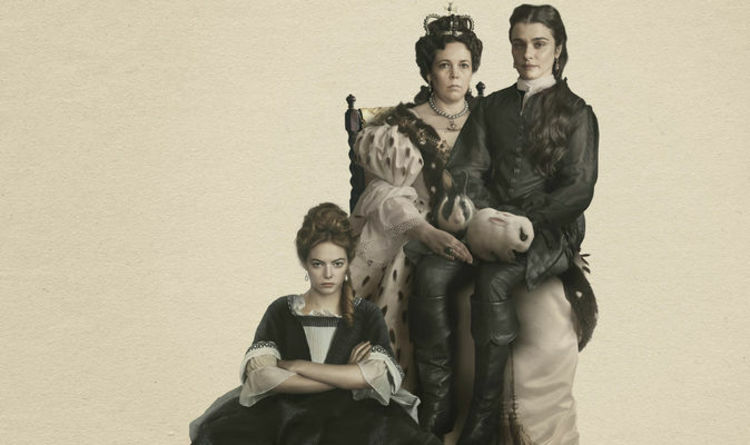 The Favourite has been plucked from real history, set against the outrageously aristocratic tableau of 18th Century royals and marks the first period film of acclaimed Greek director Yorgos Lanthimos (Dogtooth, The Lobster, The Killing Of A Sacred Deer, from a screenplay crafted by a first draft by Deborah Davis, a British lawyer, journalist and scriptwriter, and rewrites by Lanthimos and Tony McNamara, one of Australia’s most respected and revered ﬁlm and television creatives, and celebrated playwrights. The film creates its own very alive universe, with Lanthimos playing freely with the external events of the day to service and motivate the inner lives and personal politics of his characters. And speculations aside, no one truly knows what went on verbally, physically or otherwise behind the doors of Queen Anne’s court, let alone in her bed. For a story of such sprawling history, The Favourite takes place in a very insular world: largely within the confines of the Royal Palace’s walls where power plays, seductions, blood orange throwing and the occasional duck or lobster race transpire, detached from the realities of the outside world. Though the film plays like a bedroom farce with global consequences, screenwriter Tony McNamara, who worked closely with Lanthimos from an original screenplay by Deborah Davis, concurs that it is ultimately a love story. 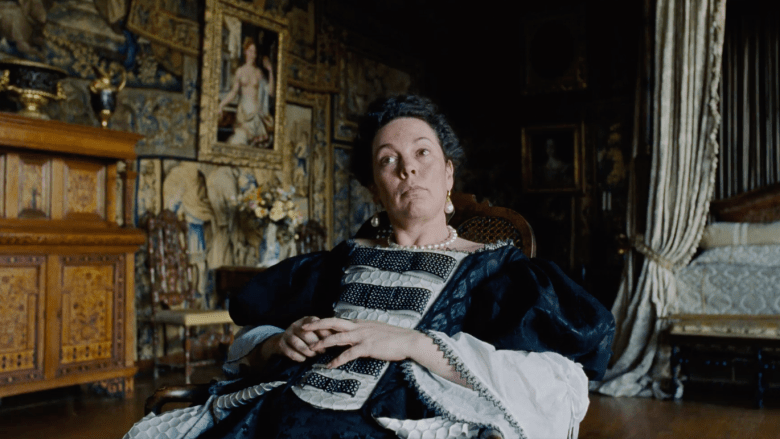 Though Lanthimos veers into psychodynamics and inter-relational fireworks, the foundation of The Favourite began with the already mystery-laden reign of the real Queen Anne. “What interested me most were these three characters, their power, their fragile relationships and how the behaviour of so few people could alter the course of a war and fate of a country. It is also for me a love story that can be quite funny and dramatic and gets dark,” says Lanthimos. Queen Anne may be England’s least known ruler, not least of all because she left no heirs to speak of her, despite an extraordinary 17 pregnancies. (In fact, had Anne left an heir, there may have been no United States as such, since George III may never have been King.) Ascending to the throne at the turn of the 18th Century, essentially because no other Protestant successors to the Stuart royal line were available, she assumed the role of Queen just as England was on the verge of a tidal wave of changes. Anne would oversee a war with France, considered the first world war of modern times, and the uniting of England with Scotland to forge the Kingdom of Great Britain. She would also confront a shocking new era of acrimonious national division, with Whigs and Tories taking sides as partisans and bitterly battling each other for influence as a young two-party political system was born. For the world of rapidly enlarging personal and political agendas in which she moved, Anne was not an obvious match as Queen and ruler. Plagued by incessant ill health, notoriously meek, anything but glamorous with her myriad skin and joint ailments, and having only a limited education, she was perceived as highly susceptible to manipulation. This in turn meant Anne was beset upon by a flurry of people competing to gain influence by finding a way to gain her trust—or perhaps, her heart. The two women who made their way deep into Anne’s inner sanctum created a triumvirate of female power-players uncommon for any time period, let alone in the so-called days of pre-Enlightenment. 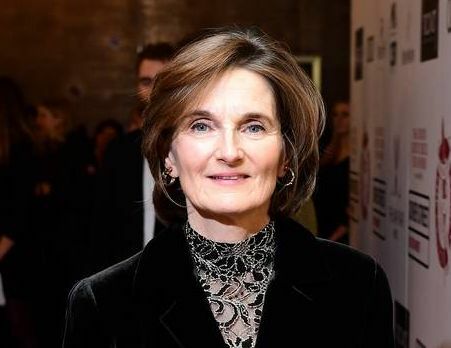 The first was Lady Sarah Churchill, the legendarily sharp and alluring Duchess of Marlborough, Anne’s BFF since childhood who, once Anne took the throne, became a primary political adviser and perhaps (according to rumors that have swirled for centuries) her lover. The second was Abigail Masham, who was Sarah’s cousin by birth but reduced to destitution by family bankruptcy, joining the royal household as a lowly maid. Nevertheless, Abigail would set in motion an epic, impassioned battle with Sarah to become Anne’s new “favourite,” making herself indispensable to the Queen, while pushing Anne in the opposite political direction that Lady Sarah was pulling. That was the historical account. But the bones of the story come to life with a psychological and sensual resonance that escaped the history books. It started with a screenplay by Deborah Davis, which producer Ceci Dempsey and her company Scarlet Films started developing two decades ago. It was in 2009 that Element Pictures’ Ed Guiney, Andrew Lowe and Lee Magiday came aboard, and together with Dempsey became acquainted with Yorgos Lanthimos, a director hailing from Greece who was making waves with his Oscar-nominated film Dogtooth, a darkly absurd and devastating story of an isolated family that confines its children with unsettling consequences. 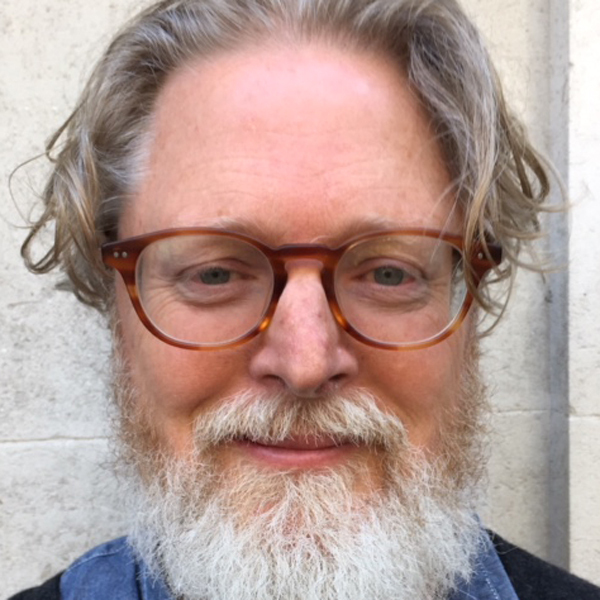 Film4 boarded the film in 2013, developing the project alongside the filmmakers and co-financing alongside Fox Searchlight and Waypoint Entertainment. 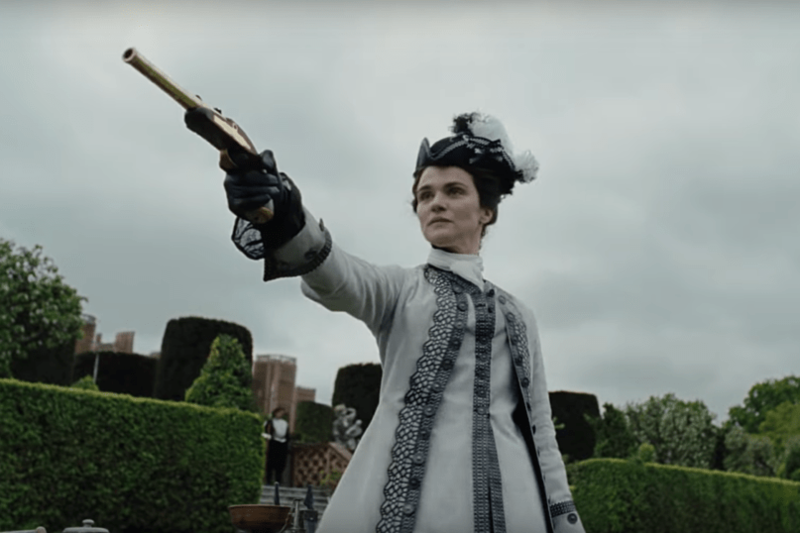 All the while Lanthimos continued to ponder The Favourite, while the team searched for a writer whose voice could mesh with his. They found a catalytic match in Australian playwright and screenwriter Tony McNamara, who seemed to share a tantalizing way of probing the weirdness and wildness of everyday human behavior. McNamara says he was drawn to the film precisely because Lanthimos was clear that he did not want to make anything remotely resembling standard period drama fare. In fact, he wanted to break the genre. Favoring complexity and feel over slavishness to historical fact, Lanthimos and McNamara discussed guidelines that informed the rewrite from the start. In thinking about the script’s architecture, the pair honed in on the women’s converging relationships. “We chose early on not to make the movie one person’s story,” McNamara elaborates. Certainly one convention of costume drama McNamara and Lanthimos torpedoed was staid manners. As an Australian and a Greek, Yorgos and I weren’t attached to English history, so maybe we felt more free to be fast and loose with it,” McNamara muses. “There’s a fundamental truth to the big events and the big frame of the story, but we were mostly concerned with exploring these three women. So where the established history was useful to us it stayed, and where it wasn’t useful to us we let it go. 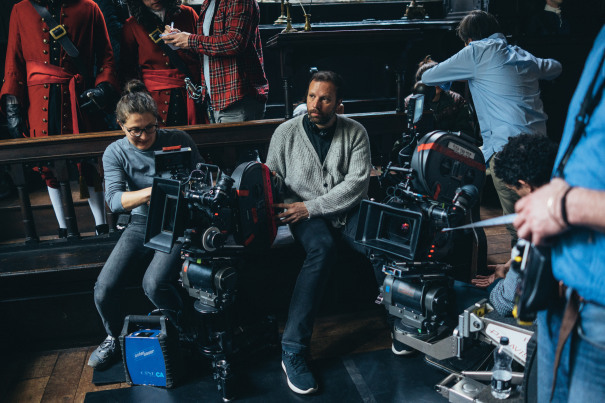 It was quite fun to do.” Throughout the process, McNamara and Lanthimos spent an unusual amount of time together, travelling to Italy to take long walks and sit for ponderous meals while sharpening the dialogue to a point. 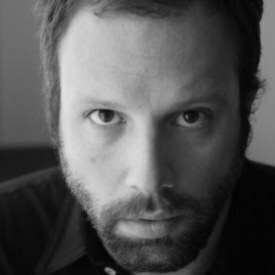 “All of that helped me to fuse the writing with Yorgos’ vision as a director,” says McNamara. After four years of collaboration, the finished screenplay was everything the producers imagined when they first considered Lanthimos. The ambiguity of the characters was intense, but what also struck Dempsey and Guiney was just how unusually proactive and authoritative the three women in the story felt, and not only because they were essentially ruling Great Britain. “For me it was never important to accurately show a particular time period or a certain court or even a specific country. I was interested in the characters and the position that they occupied in that society. A position of power of the selected few that could affect the lives of many other human beings. We were inspired by the real people and stories but largely reimagined them in order to make a film that hopefully alludes to similar issues that we all can identify with or recognize in our everyday contemporary lives,” concludes Lanthimos. Next Next post: The Possession Of Hannah Grace – A character-driven psychological thriller, drawing from and updating classic horror themes.